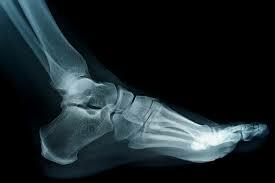 Foot Specialist Brisbane - Chronic pain, extreme pain, prior failures. Foot Specialist – Brisbane – What we can treat. Knee pain, particularly involving the kneecap, the area of the leg just below the inner side of the knee and the area just under the skin fold behind the knee. Some ganglions depending on location and the structure from which they arise. Most painful bursae / bursitis conditions can be treated effectively. Joint pain / arthritis in the foot, ankle and knee. Some types of back pain, especially sacroiliac joint pain that is made worse by standing. Painful nail and skin conditions. This may include a minor surgical procedure. Chronic injuries – even when pain has been present for a decade or more, new treatment options may provide relief of pain. Treatment of vascular problems such as reduced blood flow. We can assess and measure the blood flow to your feet. Treatment is performed by a vascular surgeon if required. Treatment of cancers such as SCC, BCC, melanomas, etc. Some types of neuropathy are not treatable. This includes severe diabetic neuropathy, leprosy, results of chemotherapy or chemical damage and other diseases that destroy nerve tissues or coverings. Neuropathies that arise because of physical impairment of nerve function can respond to treatment. This includes nerve entrapments and chronic constriction injuries. Neuropathies may be misdiagnosed and it may be worth re-evaluating your original diagnosis. Which Foot Specialist Brisbane should you see? As a group of 10 practitioners, we have an assortment of strengths across our team. If you have a routine issue, all of our podiatrists are qualified to help. If your pain is extreme, longstanding or has failed to improve with prior treatment, please discuss your needs with the admin staff at the time of booking. You could alternately send an e-mail to info@walkwithoutpain.com.au. We can determine which of our podiatrists is best placed to help once we know a bit more about your issue.